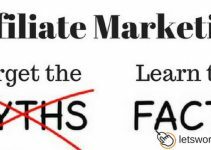 Are you looking for work online but don’t know where to turn with all the get rich quick schemes, surveys, and blogging opportunities you read about every day. 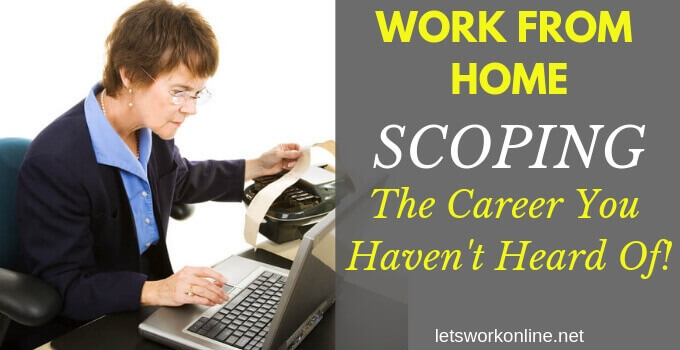 There are other work from home jobs available but finding something legitimate can be hard. This Rev.com review might give you some ideas of alternative work. There are good and bad reviews to be found online for Rev. In this review, I’ll go over what you need to know to get a good idea if Rev is legit and if it might be for you. 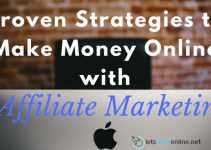 This post may contain affiliate links, which means, at no additional cost to you, I may receive a commission if you click a link and purchase something that I have recommended. For more information visit my disclosure page. My opinion: A legitimate work opportunity that could be a good choice for you if you have typing skills and you’re ready to work for low pay. Founded in 2010 and based in San Francisco, Rev offers companies transcription services for audio or video files, captions for videos, foreign subtitles for videos and translation of documents or websites. For freelancers, Rev offers job opportunities as transcriptionist, captioner or translator. In this review, we will look at the transcription and caption services. They currently have a network of over 180,000 freelancers around the world and more than 100,000 customers. Rev hope to create 1 million work from home jobs by 2025! If you think you can convert a spoken English audio file into a written document, add captions (written chunks of text at the appropriate time slots) to videos or movies or translate documents into another language then this could be for you. You will need a desktop or laptop computer with working speakers or a headset and an internet connection. You will need a good knowledge of English and it will be an advantage if you are a fast and above all accurate typer. Many transcriptionists also use a foot pedal. This will help you control the audio or video playbacks, making your transcriptions faster. But for the moment if you’re just starting you don’t need to consider this. Being a patient person will also help. The audio files or videos may be hard to understand, so you will have to listen to them several times before you understand. Applicants can be from any country as long as they are able to open a PayPal account to be paid. You don’t need any experience for the transcription or captioning work but there is a screening test. Once accepted you can set your own schedule to work when you want. 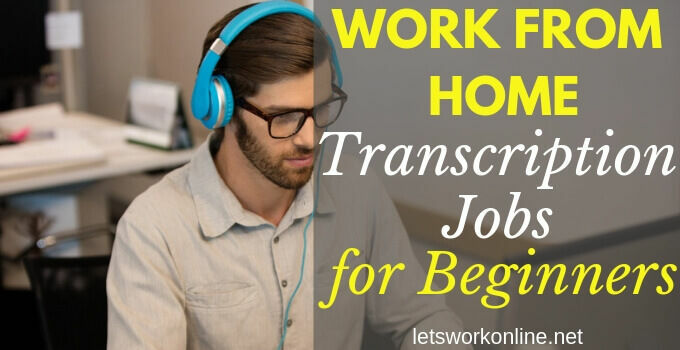 If you are interested in becoming a transcriber there are several companies that accept beginners and their conditions are very similar. The test is designed to give the applicant an idea of what working as a transcriptionist is really like and Rev will see if you have the accuracy required. There is a grammar test and then after a short guide on the best transcribing practices, you have to transcribe a 3-minute audio file. To transcribe the audio file you have to use the Rev Online Transcription Editor. There is a small learning curve but everything is explained and you can return to the guide as needed. 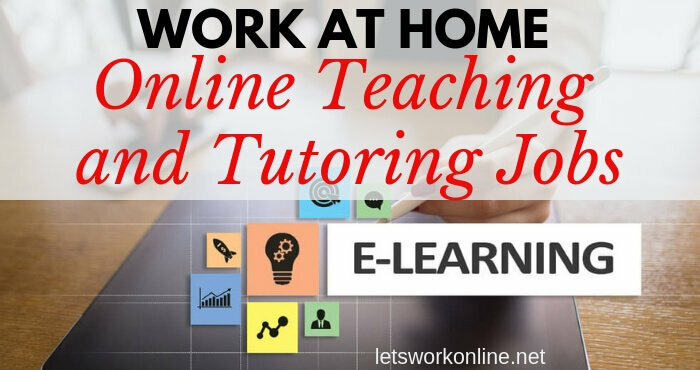 When you are accepted there is a tutorial to complete then you can start working and earning money. The start of the test is similar to the transcription test but you have to caption a video which is a little more complicated than just doing a transcription. In addition to transcribing you have to add the captions in the correct place, you will use Rev’s caption editor to complete the test. Once you have been accepted after the first test you have two more videos to caption. You will hear quite rapidly from Rev whether you have been accepted or not. Apparently, Rev only accepts about 12% of captioners. One of the complaints I have often seen online is that the would-be captioners get no feedback about the mistakes they have made. I can understand it is annoying for the people applying not to know why they have not been accepted but if Rev had to provide feedback for everyone perhaps they would have to charge a fee to cover their expenses. This wouldn’t be well received either! The video below shows you how captioning works. When you have been admitted as a transcriptionist or captioner you can accept work almost as you like. The subject of the audio files, the pay, and deadlines are made clear so you can choose jobs that are a good fit for you. You work when you want, the hours you choose, and you are never forced to take any job. Typing is only part of this work. You may think typing what you hear isn’t too difficult. But it’s not that simple. Some audio files or videos may not be easy to understand, there may be foreign accents or poor audio quality. You may have to go back over certain sections several times to get it right. 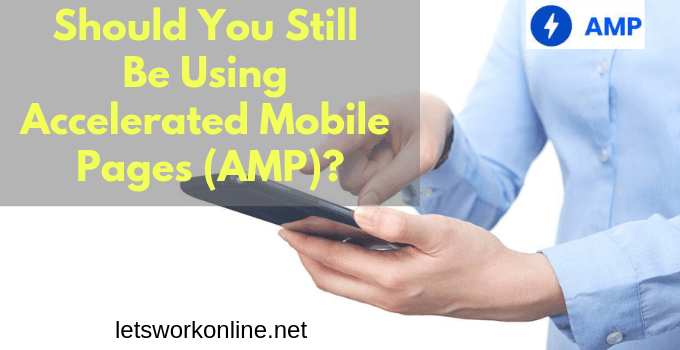 Judging from the comments online this is often the case especially with the shorter videos or audio files you can transcribe when you are starting. You may have to use Google to research any terms you’re not familiar with. You will have to proofread accurately. Having a good understanding of grammar and a decent vocabulary is a necessity. There is also a time deadline. When you take a job you must meet the deadline or you risk having the job taken from you and the work you have put in will be lost. This may seem harsh but is to ensure the customer receives the work in the specified delay. After you submit a job, you can go back to the jobs list to find the next audio file or video that interests you! You get paid every Monday via PayPal based on all the audio files you transcribed or videos you captioned in the prior week. According to Rev.com, the top transcriptionists earn $1500 per month and the top 5% earn $900 per month. The average Rev transcriptionist earn $156 per month. The rate of pay for a transcriptionist is $0.36 to $0.65 per audio minute and for a captioner $0.45 to $0.75 per video minute. In theory for a 10-minute project with pay of $0.50 per minute, you would expect to earn $5.00. However, you will spend a lot longer than 10 minutes working on the project. It will probably take you more than 1 hour when you start but you will get faster as you gain experience. The speed of your transcription will vary depending on several factors – audio quality, accents, subject and number of speakers. An audio minute is an audio file of one minute. It will take 4 or 5 minutes to transcribe an audio minute. The industry average is a ratio of 4:1, one hour of audio will take 4 hours to transcribe. This is probably why there are lots of remarks online about having to work long hours for relatively little pay. Even people who enjoy the platform grumble about the rates of pay. Don’t go into this thinking you will be able to earn a lot of money. Rev has 3 tiers of transcriptionists and captioners. Revver+ Level – you will be able to choose transcription jobs before the Revvers. At this level, you can take the Graders test. If successful you will be paid to assess the work of others. It should be noted that if your high standards are not maintained you can be demoted back to Revver status. The categories have major and minor errors. For example – precision, using the wrong words or the addition or omission of content are major errors. Spelling or the use of the inaudible tag when you don’t understand certain words are minor errors. There are many comments to be found from people who have had their accounts closed after having grades not quite up to standard and also complaints about inconsistent grading. Rev provides a resources section with tutorials, editor demo, transcription style guide and some practice jobs. The forum is probably the best resource for getting help and finding information. One part of the forum that transcriptionists find very useful is the “lend an ear ” section. When you have some words you don’t understand in your job you can ask the forum for help. You will usually get help very rapidly. Rev also has a support section with FAQs and you can submit a ticket if you can’t find what you’re looking for. What Their Freelancers Are Saying? There are many commentaries or reviews about Rev.com. Overall the feedback is fairly neutral with one point that comes up very often – the poor rate of pay. Many people enjoy the fact that you can work when you like and you are paid on time. The committed Revvers also seem to enjoy the work and find it interesting. You can see some of the reviews on Glassdoor.com or Indeed.com. My Final Opinion – Is Rev.com legit? Rev.com is definitely a legitimate option for beginners to start transcription or captioning work and earn money online. If you need money quickly, you have nothing to invest and if you have the necessary skills, this could be a good option. You can’t consider this as a full-time job as the pay is not good enough unless you put in many hours. Even then your future isn’t secure. If you have some bad grades your account may be deactivated. Worth trying as a side hustle if you’re ready to work for a few dollars per hour. You go into it knowing the biggest drawbacks. You can apply to Rev here. If you’re still interested in transcription work but consider the pay too poor to join Rev.com, you could take an online course that shows you everything you need to learn. 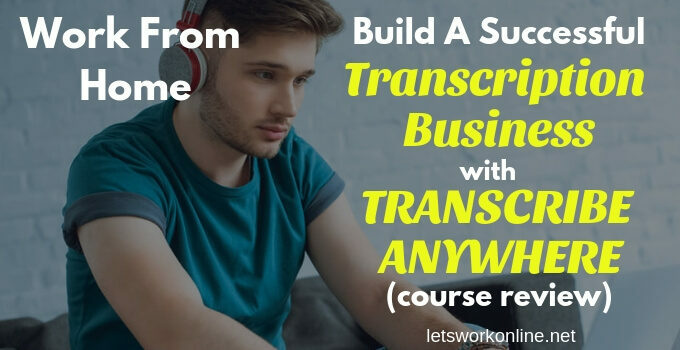 The transcribeanywhere.com course offers training from experts, lots of practice, how to find higher paying work, tutorial videos and much more. To get started they offer a free course that will give you a good idea if transcription is right for you. You get a lot of warnings in the course as they know transcription isn’t right for everyone. I appreciated the down to earth honesty! You can try the free course here. If you’re not desperate to earn money quickly and you don’t think transcription jobs are for you. 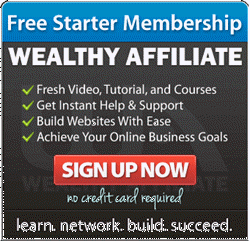 I recommend starting your own online business. That’s the road I took and I now have a business that earns me a passive income every month. To achieve this I followed an online training course that offers all the tools and support you need to get started. 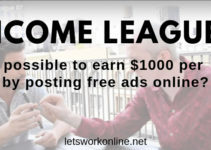 You can even join for free to see if it’s a good fit for you. If you’ve had any experience with Rev.com or you can recommend any other transcription platforms that could be good for our readers, let us know in the comments area below. Great info here. Everything in one blog. Its amazing how times have changed. The problem with being a newbie is that there is so much information out there too. There are a lot of scams too. Thanks for the info because I wouldn’t want to start before I realise what i would be getting into. It’s true there is a lot of information online and it’s a job to know what’s legit. Always do your research before investing your money or even your time. thanks for your rev com review. I now know what to expect. Just a couple of questions. How do you move up the ranks? Is it down to how much you work or the quality of your work? Would it be worth my while joining seeing as I am a writer? Why is there such an enormous difference in earning between the average and the top transcriptionists? Please enlight me and thanks again! Rev rewards good work, so as you complete jobs if you keep your metrics on track you will move up the ranks. I have read several reviews from writers who seem to enjoy the platform but the only way to know if it would work for you is to give it a try. As to the difference in earnings when you’re at the revver or revver+ levels you earn 25% more and you can choose your jobs before the lower levels. The top earners probably treat this as a fulltime job while the others probably use it as a supplementary income to their 9-5 work. If you’re a good typer this could be a good option for you Murphy. The pay may not be very much when you start but over time it will improve and you will get faster. Best of luck!